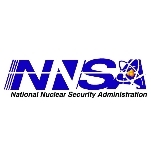 The National Nuclear Security Administration (NNSA) is a semi-autonomous agency within the U.S. Department of Energy responsible for overseeing the nation’s nuclear weapons complex. Using private contractors to run day-to-day operations, the NNSA manages highly classified research laboratories and nuclear defense facilities that maintain the stockpile of nuclear weapons as well as provide the propulsion systems for the U.S. Navy’s nuclear fleet. Born out of controversy, the NNSA has struggled since its creation in 2000 to move past the mistakes of the DOE that led Congress to establish this new agency. Security failures involving foreign espionage prompted the administration of President Bill Clinton and Congress to reorganize the DOE and entrust the NNSA with the duty of taking care of the nation’s post-Cold War arsenal of nuclear weapons. The NNSA, however, has repeatedly been criticized for its own lapses in security and other blunders. During the Cold War with the Soviet Union, the United States entrusted the production of its nuclear weapons first to the Atomic Energy Commission from the late 1940s to the early 1970s, then briefly to the Energy Research and Development Administration in the mid-’70s, and finally to the Department of Energy from 1977 until the present. At its height, the nation’s nuclear weapons complex consisted of 15 major facilities, and another dozen smaller ones, that conducted research and development (R&D), produced nuclear fuel, and assembled warheads. Although security was critical for such a sensitive operation, protecting the nation’s nuclear secrets proved difficult from the very beginning. In the 1940s and early 1950s, two major espionage scandals rocked the country. Julius and Ethel Rosenberg were executed for giving the Soviets classified documents from the Manhattan Project, the nation’s top-secret project that produced the first atom bombs. Another breach in security involved Klaus Fuchs, a German-born physicist who worked on the Manhattan Project, who gave nuclear secrets to the Soviet Union during World War II. Although other cases of espionage would occur during the Cold War, none directly involved scientists working for the nuclear weapons complex. But then in the mid 1990s, scandal arose again, this time involving China. An investigation by the House Select Committee on U.S. Nuclear Security and Military/Commercial Concerns with the People’s Republic of China, chaired by Christopher Cox (R-California), found that China had developed a number of key warheads based on U.S. designs, although the committee was unable to prove that this information was acquired through espionage. This report reaffirmed suspicions by American defense and intelligence officials who had warned since the late 1970s that Chinese spies were trying to infiltrate American laboratories. Meanwhile, the FBI began an investigation, code-named “Kindred Spirit,” of persons who had access to American nuclear warhead information. This led to the much-publicized arrest and trial of Wen Ho Lee, a computer scientist at Los Alamos National Laboratory (LANL) in 1999. The Taiwanese-born Lee had been an employee at LANL for 21 years when he was arrested by the FBI, charged with not properly securing classified materials and failing to report meetings with individuals from “sensitive” countries and held for a year. Some observers maintained that Lee was a scapegoat, and some Asian Americans charged that his arrest was motivated by racism. At his trial in September 2000, Lee was convicted on only one of the charges against him—illegally gathering and retaining national security data. The court released him on time served and ordered him to undergo 60 hours of government debriefing. Although the Wen Ho Lee scandal garnered a great deal of public attention, the most damaging news about the state of America’s nuclear weapons laboratories came from a report by a White House blue-ribbon panel during the Clinton presidency. The President’s Foreign Intelligence Advisory Board issued “Science at its Best, Security at its Worst” in June 1999—the first time in its 35-year history that the PFIAB had ever issued a public report. The findings were damning. Classified documents detailing the designs of the most advanced nuclear weapons were found on library shelves accessible to the public at the Los Alamos laboratory. Employees and researchers were receiving little, if any, training or instruction regarding espionage threats. Multiple chains of command and standards of performance negated accountability, resulting in pervasive inefficiency, confusion, and mistrust. Inexact tracking of the quantities and flows of nuclear materials. A recommendation was made for the nuclear weapons labs and facilities to be placed within a new semi-autonomous agency within DOE that had a clear mission, streamlined bureaucracy and drastically simplified lines of authority and accountability. Congress and the Clinton administration liked this idea and pushed through legislation in 2000 creating the National Nuclear Security Administration. As of 1974, the agency’s Office of Secure Transportation was charged with overseeing the secure transport of nuclear materials. NNSA works with more than 130 other countries to recover such materials. To date it has recovered 20,600 dangerous radiation sources, including 3,153 in 2008. In 2002 the NNSA eliminated a large section of its management structure through the closing of its branches in California, New Mexico, and Nevada. In 2008 NNSA collaborated with other agencies and Russia to transport 341 pounds of weapons-grade, enriched uranium from Budapest, Hungary to Siberia, where it was safely disposed of. Over the years, NNSA has launched a number of key initiatives and programs, including its 2003 establishment of the Nuclear Radiological Threat Reduction Task Force (to combat dirty bomb threats), the 2004 Global Threat Reduction Initiative (to secure and remove high-risk nuclear and radiological materials), the 2006 Secure Freight Initiative (to build upon existing port security by enhancing the ability to scan containers for nuclear and radiological materials), and the 2008 Next Generation Safeguards Initiative (to help strengthen nuclear safeguards worldwide). The National Nuclear Security Administration (NNSA) is responsible for maintaining and enhancing the safety, security, reliability, and performance of the U.S. nuclear weapons stockpile as well as the nuclear weapons labs and facilities. It is also charged with nuclear non-proliferation duties overseas, provides the U.S. Navy with nuclear propulsion systems and responds to nuclear and radiological emergencies in the United States and abroad. Provides for the development and execution of the agency’s facilities management policies, programs and project management systems. Provides the expertise, tools, and technically informed policy recommendations required to advance U.S. nuclear counterterrorism and counterproliferation objectives. Responsible for the development and implementation of NNSA security programs, including operations, resources, engineering, and technical support to field elements and facilities. Also includes physical and personnel security, protective forces, nuclear materials control and accountability, classified and sensitive information protection, and technical security programs. The office ensures that the U.S. nuclear arsenal meets the country’s national security requirements and continues to serve its essential deterrence role. In the event of a nuclear attack or radiological outbreak in the U.S. or overseas, the Office of Emergency Operations dispatches specialized teams to help mitigate any threat. The office also conducts training in partnership with other federal agencies to help prepare for such emergencies. Responsible for providing legal services, counsel, and support to the NNSA administrator and all agency elements worldwide. The office’s purpose is to prevent the acquisition of nuclear and radiological materials for use in weapons of mass destruction and other acts of terrorism. The office consolidates functions that support the international operations of the Office of Defense Nuclear Nonproliferation, and provides a corporate perspective. This office provides NNSA headquarters staff with services involving human resources, public information, procurement, administrative services, budgeting, and diversity training. Helps to ensure that U.S.-funded security upgrades can be maintained by Russia. The Naval Reactors Program is responsible for providing the U.S. Navy with nuclear propulsion plants. The office oversees R&D of new reactor technology, monitors reactor operations and helps with the disposal of decommissioned reactor plants. The office is responsible for contract management and oversight of the Pantex Plant and the Y-12 National Security Complex. The office works with more than 70 countries and deploys an array of technically based national security programs toward the formulation and implementation of U.S. nonproliferation strategies. With the threat of war against the former Soviet Union over, American policymakers began focusing more attention to stopping the spread of weapons of mass destruction in developing countries. This office work with officials in Russia and other former Soviet republics to keep nuclear fuel and other technologies secure. It conducts nonproliferation efforts in more than 60 countries through bilateral and multilateral arrangements. The office’s primary function is to provide safe and secure transportation of nuclear weapons, components and materials. The office directs R&D, computer simulation, and inertial confinement fusion activities to maintain the safety, security and effectiveness of the nuclear weapons stockpile. It provides a technical basis for annual assessment, develops modernization options, and quantifies and mitigates the effects of aging on the stockpile. The NNSA’s primary stakeholders are those corporations contracted to run the day-to-day operations at the agency’s 12 nuclear labs and facilities. In addition to contractors, a wide array of public interest and anti-nuclear groups also pay close attention to the work of the NNSA. These include the Federation of American Scientists, the Union of Concerned Scientists, Global Security.org, the Center for Defense Information, Concerned Citizens for Nuclear Safety, Project on Government Oversight, Rocky Mountain Peace and Justice Center, Snake River Alliance, Atlanta Women’s Action for New Directions, the Natural Resources Defense Council, and the Physicians for Social Responsibility, to name just a few. The Albuquerque Complex provides business, technical, financial, legal, and management advice and services in support of NNSA goals. One of the premier nuclear weapons labs during the Cold War, Lawrence Livermore was run by the University of California system from its beginning in 1952 until September 2007. Today, UC continues to help run the lab as part of a consortium involving engineering companies Bechtel, Babcock & Wilcox, the Washington division of URS, and science and technology company Battelle. The Nevada National Security Site is a massive outdoor laboratory (larger than the state of Rhode Island) and one of the largest restricted access areas in the United States. Established by the Atomic Energy Commission to serve as the testing ground for both surface and underground nuclear blasts, the site—previously known as the Nevada Test Site--hosted more than four decades of nuclear weapons testing until the nuclear weapons testing moratorium in 1992. It is now used for hazardous chemical spill testing, emergency response training, conventional weapons testing, and waste management and environmental technology studies. The site is managed by National Security Technologies LLC, a joint venture involving defense contractor Northrop Grumman, construction corporation AECOM, engineering giant CH2M Hill, and Babcock & Wilcox. The Naval Reactors facilities are involved in the research, design, fabrication, construction, testing and operation of naval nuclear propulsion systems. Idaho Naval Reactor is run by Battelle Energy Alliance, while Pittsburgh Naval Reactor and Schenectady (Knolls Atomic Power Laboratory) are run by Bechtel. The original home of the Manhattan Project where the first atomic bombs were built, Los Alamos National Laboratory has a long history of providing key research for nuclear weapons programs. It is run by the Los Alamos National Security LLC, consisting of the University of California system, Bechtel, Babcock & Wilcox and Washington Group International. Since 1949, Sandia National Laboratories has conducted research for nuclear weapons programs and other national security-related programs. It is run by a division of Lockheed Martin Company. Serving as the nation’s central facility for assembling and dismantling nuclear warheads, Pantex is run by Babcock & Wilcox. A high-tech research production facility that historically was charged with providing many of the non-nuclear components for nuclear warheads, the Kansas City Plant is run by defense giant Honeywell. Run by Babcock & Wilcox, Y-12 is one of the original Manhattan Project facilities that produced uranium for warheads. Today, programs at Y-12 include manufacturing, reworking and dismantling nuclear weapons components and storing special nuclear materials. Once a key supplier of nuclear fuel for warheads, Savannah River still provides nuclear materials for warheads. It is run by a joint venture involving Bechtel, Babcock & Wilcox, and CH2M Hill. Government auditors faulted the Department of Energy (DOE) and the National Nuclear Security Administration (NNSA) in 2012 for failing to inform law enforcement about cyber attacks targeting government computers, including those at nuclear weapons laboratories. The DOE’s inspector general said the lack of transparency by DOE and NNSA hindered investigations of about 2,300 cybersecurity incidents that took place between October 2009 and March 2012. The failure to provide timely reporting put DOE’s “information systems and networks at increased risk,” according to the IG’s report. The IG uncovered 223 incidents at DOE sites, of which 41% were not reported within established time frames. In fact, the agency asked to increase its cybersecurity budget by about $30 million in 2013, saying that the true number of attacks by hackers of all kinds, including automated bots trolling for vulnerabilities, may reach millions each day. The NNSA was the subject of two pieces of bad news in October 2012 involving modernization efforts surrounding warheads and a new uranium facility in Tennessee. First, the Department of Energy’s inspector general (IG) issued a report stating the NNSA’s ongoing refurbishment of the W76 warhead was running behind schedule and over budget. These problems were expected to impact the schedule of other warhead refurbishments, such as those planned for the B61 Life Extension Program, which has had its own issues with cost increases. The IG expected the cost increases for refurbishing the W76 to total $221 million over a five-year period. In addition to this bad news, Frank Munger of the Knoxville News reported that the design for NNSA’s new $6.5 billion Uranium Processing Facility did not take into account the size of the equipment planned to go inside the building. This meant that after already spending $500 million, the NNSA would have to redesign the plant, including raising the roof by 13 feet and thickening the foundation slab by a foot. After years of delays, a new, billion-dollar facility at Los Alamos National Laboratory still found itself no nearer to completion during the Obama administration. First proposed at the beginning of the 21st century, the Chemical and Metallurgy Research Replacement-Nuclear Facility (CMRR) had seen its construction costs balloon over a decade. Originally, the CMRR complex was slated to cost $375 million in 2001. By 2012, the two-building plant—intended to produce plutonium components for nuclear warheads—was expected to cost between $3.7 billion and $5.9 billion. With the federal budget bleeding red ink, the Obama administration decided in its fiscal year 2013 budget request to delay completion of the CMRR for another five years. The move led some observers to wonder if the plant would ever be built. Three peace activists, including an elderly Roman Catholic nun, trespassed onto a leading nuclear weapons facility in the summer of 2012, embarrassing the NNSA, which is charged with managing the facility. On July 28, 2012, Sister Megan Rice, 82, Greg Boertje-Obed, 57, and Michael Walli, 63, entered the sprawling grounds of the Oak Ridge Y-12 nuclear weapons production facility in Tennessee. The three activists managed to cut through not one, not two, not three, but four fences and reach the uranium enrichment facility on foot before one of the plant’s security guards, Kirk Garland, finally detected the unlawful entry and arrested them. Garland was subsequently fired. The government pays $1.2 billion for security at Oak Ridge every year. WSI Oak Ridge is a subsidiary of the international security firm G4S, which was taken to task for failing to provide enough security personnel for the London Olympic Games in 2012. Rice, Boertje-Obed, and Walli were not armed. They carried Bibles, peace banners, flowers, and spray paint, which was used to put up peace messages. A couple days after their apprehension, the three were arraigned in court and charged with federal trespassing, which is a misdemeanor that carries a penalty of up to one year in jail. The IG also said the breach by the three activists should serve as a “wake-up” call for the Energy Department to do something about improving the security at the uranium facility. In the months after the incident, the Obama administration decided to elevate the charges against Rice and the others. In May 2013, the activists were tried and convicted on two counts: sabotaging the plant and damaging federal property. Their sentencing hearing is scheduled for September. When Republicans in Congress and President Barack Obama averted the so-called “fiscal cliff” at the end of 2012, a provision was hidden within the legislation that impacted the status of nuclear arms reductions between the U.S. and Russia. The controversy began when House Republicans added language to another bill, the 2013 National Defense Authorization Act (NDAA), which could “impede the fulfillment of future U.S. obligations agreed” to the New START (Strategic Arms Reduction Treaty) agreement, according to the White House. Now, Obama needed to only certify “whether” Russia was in compliance with the New START. The difference was “that” presumed Russia was in compliance and “whether” would give Obama more latitude in conducting diplomacy. The NNSA came under criticism in 2012 once it revealed that at least two modernization programs for nuclear bombs and warheads were enduring cost overruns. NNSA officials told a Senate appropriations subcommittee that the Life Extension Program (LEP) for the B61 bomb was going to cost at least twice as much as originally estimated, and perhaps more. In 2011, the agency said it would come in around $4 billion. Now, the price tag was more like $8 billion, and possibly $10 billion. Also in 2012 the Department of Energy’s IG warned that the NNSA needed to substantially increase the speed at which it was updating W-76 nuclear warheads in order to keep to its schedule. But this might mean spending more money than was allocated, the IG warned, as production costs were projected to rise by as much as 59% in 2013 and 2014. The NNSA released Performance Evaluation Reports (PER) three years after they were completed, long after decisions were made to renew lucrative contracts with private companies and long after the opportunity for oversight or input from the public. Nuclear Watch New Mexico forced the NNSA to publish the reports after suing the agency. As reported in a 2011 PER, the company handling work at Los Alamos National Laboratory—Los Alamos National Security LLC—did not “effectively manage” efforts in support of “NNSA strategic objectives,” a reference to the Chemistry and Metallurgy Research Replacement-Nuclear Facility, a project plagued by overspending in the billions of dollars. The 2012 PER described a situation in which onsite NNSA personnel suggested that Los Alamos National Security’s contract not be extended, but Neile Miller, the NNSA official in charge of awards, overrode the decision and the company was given a waiver extending its contract through 2018. Representative Michael Turner (R-Ohio), chairman of the House Armed Services Strategic Forces Subcommittee, proposed in 2012 to remove the DOE oversight authority of the nation’s nuclear weapons complex, which is managed by the NNSA. Turner proposed that the NNSA take on these duties. Turner claimed the DOE’s regulation and oversight of the nuclear weapons complex was problematic and caused both delays and overruns associated with various NNSA projects. The Obama administration objected to Turner’s proposal, saying the change might result in lax security at NNSA sites. In addition, some lawmakers rejected the idea, including the Republican and Democratic leaders on the House Energy and Commerce Committee, which also has jurisdiction over NNSA activities. Los Alamos National Laboratory (LANL), the nation’s leading nuclear weapons research facility, suffered numerous security problems over the years, from missing computers to vulnerability to cyber attacks. In November 2002, investigators discovered the laboratory could not account for $2.7 million in computers and equipment as well as thousands of dollars in questionable credit card transactions (including a Mustang, jewelry and casino cash advances). As a result of the problems, director John Browne resigned in January 2003. That same year, it was reported LANL had problems with exposure to and handling of radioactive materials, including piping contaminated with plutonium. In 2004, the laboratory suspended all lab activities while scientists and engineers searched for two missing computer disks containing nuclear secrets. Then, five years later, LANL officials feared they had lost 2.2 pounds of plutonium. A review of records revealed that statisticians at the lab had miscalculated the amount of plutonium at its facility and that none was actually missing. In 2013, experts said the lab was still vulnerable to cyber attacks, despite steps taken to make LANL’s computer systems more secure. The NNSA spent more than $5 billion on the U.S. National Ignition Facility (NIF), a huge sophisticated laser operation built to help scientists unlock the mystery of fusion energy. But after years of spending and failed experiments, Congress grew short with the NIF, located at Lawrence Livermore National Laboratory in California. By 2012, there was talk on Capitol Hill of redirecting the NIF focus away from fusion energy research. Instead, the NNSA said it could use the mammoth facility—about the size of a football field—to perform experiments that would help maintain the arsenal of nuclear warheads. The NNSA decided in 2009 to move work on a key warhead component from one government laboratory to another, which upset some members of Congress. NNSA leaders wanted to consolidate responsibility for designing tritium gas transfer systems from the two labs currently performing the work—the Los Alamos and Sandia national laboratories—down to a single site, Sandia’s facility in Livermore, California. The gas transfer system moves tritium from container bottles into the core of the nuclear warhead as the weapon explodes. Tritium, a radioactive isotope of hydrogen, is used to boost the yield of a nuclear weapon. After hearing of this decision, members of the U.S. Senate at least temporarily banned the reassignment of the work through a budget amendment that denied any funds for the move. The Senate measure dictated that a study should be conducted before the move takes place because of the fear that consolidating the design functions in Livermore might create a greater risk of nuclear warhead malfunctions by splitting that crucial design work from the warhead-design experts in Los Alamos. During the 2003 invasion of Iraq, the administration of George W. Bush pushed for the development of a special nuclear warhead capable of penetrating the earth in order to destroy underground, hardened complexes. The ongoing “study” began in May 2003, with plans to convert existing B61 or B83 nuclear bombs into earth penetrators. Over the next two years, the budget for the Robust Nuclear Earth Penetrator (RNEP), also known as the “bunker buster,” blew up from $45 million to $71 million. Congress refused to fund further research—such weapons could prompt nuclear proliferation in other countries and besides, conventional weapons could do the same job and. The RNEP was intended to penetrate the earth and burrow into the ground several tens of feet before detonating, greatly increasing the ability to destroy hardened underground targets. The NNSA was responsible for studying modifications of specific warheads. The plan was included in the 2006 budget, but in the face of further opposition, the NNSA withdrew its funding request, which included $4 million for the NNSA and $4.5 million for the Air Force to study the weapon. Officials in the NNSA found themselves in a fog in 2007 over how to recreate a key component for nuclear warheads. Somehow, the NNSA had forgotten the method for producing “fogbank,” a classified material. Outside experts suggested that fogbank was a type of exploding foam that resides between the fission and fusion portions of hydrogen bombs. The Government Accountability Office reported that the NNSA spent a year and nearly $70 million trying to remake fogbank. It was unclear if the effort was successful. Nuclear policy experts couldn’t believe the snafu. Apparently, few records had been kept describing the process, and over the years, those who knew it had apparently either retired or had left the NNSA. “What the story ought to tell people is that the institutions that we’ve built to oversee development and maintenance of our nuclear weapons are incompetent,” Jeffrey Lewis, director of the nuclear strategy and nonproliferation initiative at the New America Foundation, told Mother Jones. In September 2007, the IG’s office issued a report criticizing NNSA for falling behind in constructing a high-priority radiological/nuclear complex at the Nevada Test Site for use by Department of Homeland Security. The NNSA failed to fast-track the project as requested and incurred cost overruns. In June 2006, the NNSA waited nine months before informing top DOE officials that a computer hacker had stolen sensitive data on 1,500 employees. The NNSA’s top administrator at the time, Linton Brooks, had no explanation for why the Secretary of Energy nor the employees weren’t told sooner of the theft. The failure provoked bipartisan outrage, including calls for Brooks’ immediate resignation by Republican Joe Barton, chairman of the House Energy and Commerce Committee subcommittee on oversight and investigations. In the wake of illegal computer downloading at Los Alamos and the theft of sensitive employee data in 2006, the NNSA’s Administrator Linton Brooks resigned in January ’07. Brooks, a former ambassador and arms control negotiator, had drawn adverse publicity for other questionable moves, such as recommending the installation of Gatling guns outside Lawrence Livermore Laboratory to protect it from terrorist attacks. In January 2008, it was reported that seven security guards had been caught sleeping at the Y-12 nuclear weapons plant since 2000. All were employees of Wackenhut Services Inc., a large private security firm, which the NNSA contracts with. Y-12 is considered a potential terrorist target because of the facility’s large storehouse of uranium. The Government Accountability Office (GAO) issued at least three reports within two years regarding the work of the National Nuclear Security Administration (NNSA). On the one hand, the GAO credited the NNSA with “successfully” ensuring the nation’s nuclear weapons stockpile. But, the government watchdog also noted in September 2012 that NNSA’s “ineffective oversight of its contractors has contributed to many safety and security problems” at top scientific laboratories. In response to the above, NNSA officials indicated they would implement the recommendation. The agency also said that “major projects continue to pose a challenge” for the NNSA. The report listed as an example the delayed construction of a new plutonium facility in Los Alamos, New Mexico, that would end up costing $5.8 billion—an increase of six times the original estimate. Frustrated with the NNSA’s reported lack of proper management of key weapons laboratories, a public advocacy group based in New Mexico offered up numerous recommendations for Congress to consider in 2011. · Requiring the NNSA to hold contractors accountable to concrete evaluation measures. · Mandating that Performance Evaluation Plans and Reports are standardized across the nuclear weapons complex for all sites. · Requiring waivers and/or adjustments to the findings of Performance Evaluation Reports be fully justified and documented in writing by the NNSA Fee Determining Official. · Standardizing contractor fees as percentages of sites’ total institutional budgets. · Prohibiting “design-builds” and mandating that project construction begin only when 90% design is certified to be complete with credible cost estimates. Contractors should be penalized for cost overruns. Republicans in the U.S. House proposed in 2012 to remove the U.S. Department of Energy’s (DOE) oversight of the nation’s nuclear weapons laboratories, which are managed by the NNSA. Instead of DOE reviewing lab operations, GOP lawmakers said the NNSA should take on this responsibility. Democrats in Congress and officials in the Obama administration objected to the change, saying it would amount to the NNSA and the contractors it hires to monitor themselves. Opponents warned the proposal represented a significant step backwards for health, safety, security, and financial oversight of the labs, which have a history of being poorly managed, according to government watchdog groups. In addition to Democrats opposing the measure, the GOP leadership of the House Energy and Commerce Committee came out against it. Representative Cliff Stearns (R-Florida), chairman of the energy panel’s Oversight and Investigations Subcommittee, told Global Security Newswire that he intended to remove the controversial plan from the National Defense Authorization Act for fiscal year 2013 during conference negotiations with the Senate. Following a series of security lapses and management blunders with the nation’s nuclear weapons laboratories, the Albuquerque Journal suggested it was time for Congress to consider eliminating the NNSA. A bipartisan commission proposed by a pair of senators, Jon Kyl (R-Arizona) and Tom Udall (D-New Mexico), would examine the NNSA and what to do with it. The NNSA has been plagued by problems on major jobs like upgrading security at Los Alamos National Laboratory, troubles at the Uranium Processing Facility, and a humiliating security breach at the Y-12 National Security Complex. The NNSA also angered some Republicans by deferring work on the Chemistry and Metallurgy Research Replacement-Nuclear Facility at Los Alamos, as that might harm nuclear-weapon readiness. The Obama administration has said that a five-year delay would save money but wouldn’t adversely affect readiness. While lawmakers in Congress debated a 2012 proposal aimed at reforming the NNSA, the agency sought to resolve a key problem involving security services for the Los Alamos National Laboratory (LANL). The U.S. Senate approved a proposed study of ways to reform oversight of the government’s nuclear facilities, which the NNSA manages. The legislation would have created a bipartisan advisory panel to recommend changes to NNSA operations. The proposal was put forth by Democratic Sen. Tom Udall (New Mexico) and Republican Sen. Jon Kyl (Arizona) following management issues, cost overruns, and security breaches that arose at the weapons labs. One such problem occurred at LANL, where the contractor handling the day-to-day work was criticized over a faulty $213 million security system. The company promised to pay $10 million for cost overruns related to construction of the system, which was built around what is known as Technical Area 55. The area is the only place in the country where nuclear weapon triggers are manufactured. Officials estimated it would take another $41 million and another six months to fix the system, which had fallen behind schedule—it was supposed to be completed by the end of 2012. It was hoped that an advisory panel would come up with solutions to such problems, perhaps even considering dismantling the NNSA. Congress faced a decision in 2009 regarding the counterintelligence (CI) operations at the DOE and the NNSA. Three years earlier, lawmakers had temporarily approved the consolidation of the CI offices of DOE and NNSA into one office under the Energy Department’s control—and now they had to decide whether to make the change permanent. Another consolidation had taken place at that time, when the DOE combined its separate Office of Intelligence and Office of Counterintelligence into a new DOE office called the Office of Intelligence and Counterintelligence. DOE officials believed the move would facilitate synergistic cooperation and a more efficient CI program. The alternatives ranged from keeping the consolidated DOE/NNSA CI office but reversing DOE’s decision to combine its formerly independent offices of foreign intelligence and counterintelligence, to eliminating both consolidations. Congress also could exercise several oversight options, ranging from conducting classified CI briefings to commissioning a formal assessment of DOE’s current CI reorganization, CRS pointed out. Should the nuclear arsenal be modernized? America’s arsenal of nuclear weapons has been in a state of decay since the end of the Cold War two decades ago. Both the Bill Clinton and George W. Bush administrations faced the issue of whether/how to modernize these weapons to ensure their usability and to maintain their deterrent value. Yet officials repeatedly put off spending billions of dollars on warheads and related systems, causing the eventual cost to rise even further for tackling this task. One study from the nonpartisan Stimson Center, a Washington think tank, estimated the cost of modernizing the stockpile at $352 billion. Others claim the figure could be far higher, especially if Washington continues to delay making a decision about how to proceed. Regardless of how much it will cost, advocates insist the U.S. must maintain its nuclear arsenal in the event a geopolitical crisis demands a nuclear solution. Failing to act soon, they say, could mean there won’t be enough time to design and build the new systems that would be required if the old arsenal is no longer safe or reliable. But actions are required. Advocates point to Los Alamos National Laboratory, one of the oldest and most critical research facilities supporting the arsenal. Inside one critical building, pipes carrying dangerous wastewater have been duct-taped together to plug leaks, while plastic bags have been wrapped around the tape to trap seepage. Los Alamos isn’t even the most pressing example of neglect and deterioration among the labs, they say. That honor goes to Building 9212, a uranium-processing facility at the Y-12 National Security Complex near Oak Ridge, Tennessee, which in addition to structural problems has suffered from serious security lapses. Opponents insist the country can ill afford to spend more than $350 billion modernizing a nuclear force that is a relic from the past. “Instead, we should be investing in real national security priorities that meet the needs of our troops and address the realities of our modern world,” Peter Stockton and Lydia Dennett wrote for the Project on Government Oversight. They claim the nuclear arsenal remains one of the few programs in Washington that have escaped budget cuts, despite its questionable need these days. Also, money has already been spent on at least half of the arsenal through life extension programs, which overhaul the weapons and extend their life by up to 30 years. The other half will be nearing completion by the time any new production plants could be operational, critics say. A growing number of former senior administration officials from both parties have said the country would be better off making more substantial cuts to the stockpile to encourage nonnuclear states to abandon their nuclear ambitions. Should the DOE continue to manage the NNSA? Established in 1999 by Congress, the National Nuclear Security Administration (NNSA) was set up as a semi-autonomous agency within the Department of Energy (DOE) in the hope that this arrangement would provide the agency the freedom to fix lapses in security at the national weapons labs. The NNSA was charged with the maintenance and modernization of the nuclear warhead stockpile, the operation of research laboratories and nuclear and non-nuclear weapons production sites, and the management of nuclear non-proliferation activities and naval reactors. But during the first decade of the 21st century, security problems continued at the nation’s nuclear labs. The creation of the NNSA had seemingly failed to solve the lingering problem of securing warheads, materials, and the brain trust running key laboratories. Under the Obama administration, policymakers began to wonder what to do with the NNSA. Supporters of the agency contended that the problem resided within the DOE, and that Energy officials were getting in the way of the NNSA’s ability to properly manage the nuclear weapons complex. Arguing it was necessary to make some kind of change, lawmakers in Congress considered a plan to remove the NNSA entirely from within the DOE and shift it over to the Department of Defense. The idea of moving the NNSA to the Pentagon raised concerns among many civilian nuclear experts, who pointed to the beginning of the nation’s nuclear weapons program following World War II. Many of the scientists who worked on the Manhattan Project, which developed the world’s first nuclear bombs, argued for civilian control in the wake of Hiroshima and Nagasaki bombings. “The scientists contended that atomic energy was too destructive and important to leave in the hands of the military,” Robert Alvarez wrote in the Bulletin of Atomic Scientists. Others objected to moving the NNSA out of the DOE by citing fears that the shift would ultimately lead to less oversight of the contractors hired by the NNSA to operate the weapons labs. This issued was raised in a fiscal 2013 defense authorization bill, in which the House called for restoring the Cold War management system known as “least interference,” which meant shifting the burden of safety, security, and financial compliance from the Energy Department to the contractors. The Government Accountability Office (GAO) described least interference as “an undocumented policy of blind faith in [government] contractors’ performance”—something opponents of the idea scoffed at. Critics of the DOE insist the department must be separated from the NNSA. Even with the current arrangement of the NNSA being a semi-autonomous agency, there were too many security, safety, and financial problems at the labs. By the end of 2011, the Energy Department’s own inspector general (IG) concluded that NNSA management was fundamentally broken. The IG called for the government to establish a process to close and consolidate Energy Department labs, similar to the method by which the Defense Base Realignment and Closure Commission had decommissioned hundreds of military bases since the late 1980s. Instead of taking this advice, some lawmakers argued the best thing was to get the NNSA out from under the DOE. Joining this argument was directors of the weapons labs who claimed outside meddling was the main problem at the NNSA, and the Energy Department should have less responsibility for overseeing the safety, security, and financial matters of the NNSA. My husband , Raymond was a civilian worker on Eniwetak Island for operation Hardtack in June 1958. He has experienced four bladder and divericula cancers. Is there any government program for reparations ? The White House announced on August 1 President Obama’s intent to nominate retired Air Force Lt. Gen. Frank G. Klotz as the Department of Energy’s under secretary for nuclear security and administrator of the National Nuclear Security Administration (NNSA). NNSA oversees the U.S. nuclear weapons complex and supplies fuel for the Navy’s nuclear-powered ships. If confirmed by the Senate, he will succeed Neile L. Miller, who has been acting administrator of NNSA since January, when Under Secretary Thomas D’Agostino retired. Born circa 1951, Frank Klotz earned a B.S. in International Affairs at the Air Force Academy in 1973. A Rhodes Scholar that same year, at Oxford Klotz earned an M.Phil. in International Relations in 1975 and a D.Phil. in Politics in 1980. After his time at Oxford ran out in July 1976, Klotz served as an international politico-military affairs officer at the Directorate of Concepts at USAF headquarters from September 1976 to February 1978, and as military assistant for special projects in the Office of the Assistant Secretary of Defense for Manpower, Reserve Affairs and Logistics from March 1978 to July 1979. Klotz then returned to Colorado Springs to teach at the Air Force Academy, serving as an instructor, assistant professor and associate professor in the Department of Political Science from July 1979 to August 1982, using this time to finish his doctoral dissertation. Klotz spent another year in Washington, from September 1982 to August 1983, serving as a White House fellow and special assistant to the deputy secretary of state, and from September 1983 to January 1984, Klotz had his first assignment somewhere other than Colorado, Washington or Oxford, as a student at the 4315th Combat Crew Training Squadron at Vandenberg Air Force Base (AFB) in California. Klotz spent the next three and a half years at Grand Forks Air Force Base in North Dakota, where he first focused on nuclear weaponry. He served as a Minuteman ICBM combat crew commander in the 446th Strategic Missile Squadron from January to August 1984, as an operations officer in the 447th Strategic Missile Squadron from August 1984 to July 1985, as chief of the Standardization and Evaluation Division of the 321st Strategic Missile Wing from July 1985 to March 1986, and as commander of the 447th Strategic Missile Squadron from March 1986 to July 1987. After a year as a senior research fellow and student at the National War College from July 1987 to June 1988, Klotz served two stints at the U.S. Mission to NATO in Brussels, Belgium, as a defense plans officer from July 1988 to February 1990, and as chief of the Nuclear Biological and Chemical Plans Branch from February 1990 to August 1991. Klotz spent most of the 1990s away from Washington, with the sole exception of service as director of the Chief of Staff’s Operations Group from February 1993 to December 1994. Otherwise, he served as commander of the 321st Operations Group at Grand Forks AFB from August 1991 to February 1993, as commander of the 91st Missile Group at Minot AFB from January 1995 to August 1996, as director of Logistics at Headquarters Air Force Space Command at Peterson AFB in Colorado from August 1996 to August 1997, and as a military fellow at the Council on Foreign Relations in New York City from August 1997 to August 1998. From September 1998 to June 2001, Klotz was a military diplomat, serving in Arlington, Virginia, as defense attaché designate to July 1999, and as defense attaché at the U.S. Embassy in Moscow, Russia, from July 1999 to June 2001. Fresh off his tour in Moscow, Klotz served as director for Nuclear Policy and Arms Control at the National Security Council from July 2001 to May 2003, where he represented the White House in talks that led to the 2002 Moscow Treaty to reduce strategic nuclear weapons. From May 2003 to October 2005, he served as commander, 20th Air Force, Air Force Space Command, and commander, Task Force 214, U.S. Strategic Command, at Francis E. Warren AFB in Wyoming. He was then vice commander of the Air Force Space Command at Peterson AFB in Colorado from October 2005 to August 2007. Back in Washington, Klotz served as assistant vice chief of staff and director of Air Force Staff at USAF Headquarters from August 2007 to August 2009, retiring from the military after a stint as commander of the Air Force Global Strike Command at Barksdale AFB in Louisiana, at the time a new organization of 23,000 that assumed responsibility for all U.S. nuclear-capable bombers and land-based missiles under a single chain-of-command, from August 2009 to January 2011. Klotz has been a senior fellow for Strategic Studies and Arms Control at the Council on Foreign Relations since July 2011, and an independent consultant since March 2011. He is a member of the International Institute for Strategic Studies, the Committee on International Security and Arms Control of the National Academy of Sciences, and the Secretary of State's International Security Advisory Board. Klotz is the author of America on the Ice: Antarctic Policy Issues (National Defense University Press, 1990) and Space, Commerce and National Security (Council on Foreign Relations Press, 1999). On November 6, 2013, President Barack Obama nominated Madelyn R. Creedon to be principal deputy administrator of the National Nuclear Security Administration (NNSA), a semi-autonomous agency within the U.S. Department of Energy responsible for overseeing the nation’s nuclear weapons complex. Her confirmation hearing before the Senate Armed Services Committee, for whom she served for many years, was held on January 16, 2014. The daughter of Marilyn and Richard Creedon, she was born November 1, 1951, in Indianapolis, Creedon graduated from the University of Evansville in 1973 with a degree in political science and from St. Louis University Law School in 1976. She worked as a trial attorney for four years, and then served for ten years in the Department of Energy general counsel’s office as acting assistant general counsel for special litigation. Most of Creedon’s government service has been related to defense and nuclear weapons. In 1990, she joined the staff of the Senate Armed Services Committee as counsel, serving in that position for four years. She became general counsel for the Defense Base Closure and Realignment Commission in 1994. Creedon served that panel, which made recommendations to President Bill Clinton for closing or realigning military bases, until October 1995. At that time, Creedon moved to the Executive Branch, becoming associate deputy secretary of energy for National Security Programs. She held that post until 1997, when she returned to the Senate Armed Services Committee. Creedon then moved back to the Department of Energy, being named deputy administrator for Defense Programs at the National Nuclear Security Administration. In 2001, after George W. Bush was elected president, Creedon returned to the Senate Armed Services Committee, where she served as Democratic counsel and, beginning in 2007, as lead majority staff for the Subcommittee on Strategic Forces. In 2011, she was appointed assistant secretary of defense for Global Strategic Affairs (GSA). In that post, Creedon has overseen such policy issues as cybersecurity for the Department of Defense (DOD), nuclear weapons, missile defense and countering weapons of mass destruction. As part of her position as assistant secretary of defense, she has been co-leader of a Pentagon team reviewing recent problems with Air Force nuclear missile crews. Creedon comes by her connection to defense programs naturally. Her father served in the Army Reserve for more than 35 years. Creedon and her husband, Jim Bracco, have two adult children, Meredith and John.